A couple of years ago, I spent the summer living in Vancouver, BC, where I served at a cute little bar & grill on Granville Street. I instantly fell in love with the West coast cuisine; healthy, locally grown, and flavourful to say the least! At the time, I had no idea how much of an impact the city would have on my diet, but I'm so glad it did! I'm now even more thrilled to explore the endless foodie possibilities that other cultures have to offer! One of my favourite dishes from the Granville Street hot spot was a black bean quinoa salad. Naturally, this dish is one inspired by, with fresh cilantro, cucumbers, and cherry tomatoes, and a sweet homemade dressing to tie everything together! Step 1: In a large pot, bring 3 cups of water to a boil and add quinoa. Cook on medium high heat for 15-20 minutes or until soft. Empty into a mixing bowl and let cool. Drain and rinse black beans. 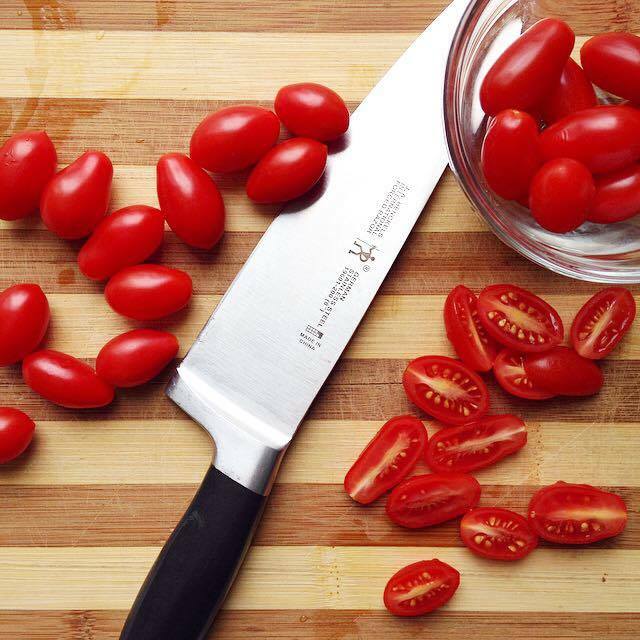 Carefully slice cherry tomatoes into halves. If you're making a larger batch, you can place tomatoes on a plate, cover with an upside down plate, and slice through the two plates. 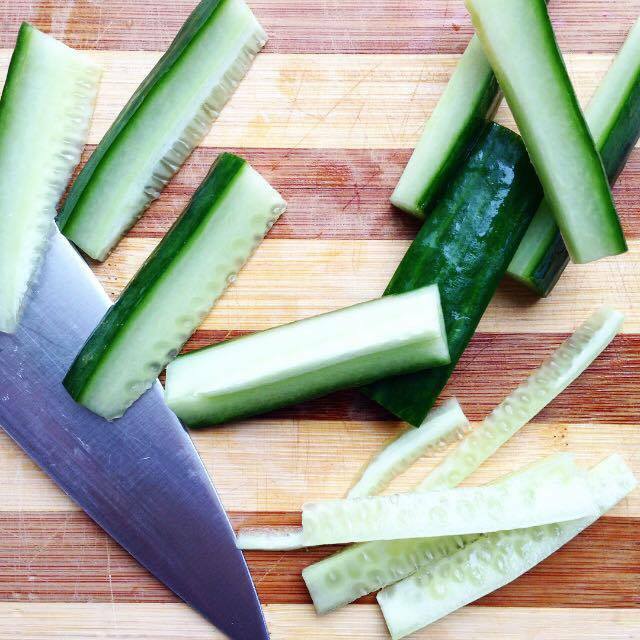 Step 2: Slice cucumber lengthwise, into 8 even pieces, removing the centre containing the seeds to limit moisture. Chop into small pieces. Combine black beans, tomatoes, and cucumbers to quinoa and mix evenly. Step 3: Finely chop cilantro, add to mixing bowl, and stir evenly. Step 4: In a small mixing bowl, combine lemon juice, agave nectar, Dijon mustard, oil, and balsamic vinaigrette and stir. Pour over quinoa and mix evenly. Sprinkle salt and stir.